David Tennant has voiced the genie Dread in Jake And The Never Land Pirates in the episode titled Dread The Evil Genie. The episode was part of Disney Junior's Soaring Over Summer event which started on Monday 29th June 2015 and continued until Thursday 13th August. David Tennant's episode premiere date was Monday 6th July 2015 in the US and Tuesday 14th July in the UK. Jake And The Never Land Pirates is an animated musical television series based on Disney's Peter Pan franchise. The series follows a band of young pirates consisting of Jake, Izzy, Cubby and their parrot Skully, who spend their time in Never Land competing against Captain Hook in looking for treasure. A video of the full episode of David Tennant's episodeof Jake And The Never Land Pirates has been posted to Break.com. Link to posts related to Jake And The Never Land Pirates on Blogger.com. 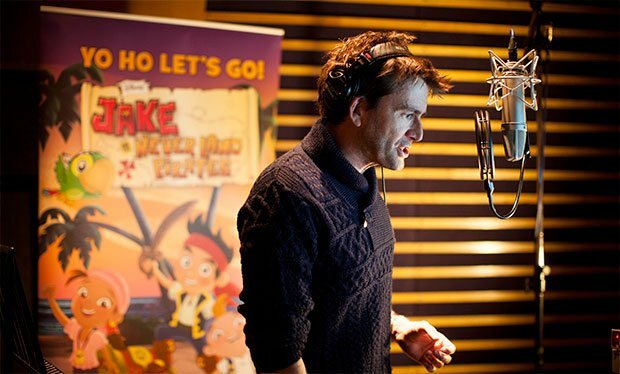 David Tennant will return in a new episode of Jake And The Never Land Pirates. The episode is called Dread And The Pharoah!